The story opens with a disturbing telephone call to Ben from his father who has just been captured by members of a religious cult, who go by the name of, ´The Sons and daughters of Salvation´ Ben’s father was initially hired to investigate the disappearance of a young woman by the name of Emily, as her parents are in desperate need for answers on their missing daughters whereabouts. However, when Ben’s father is captured against his will and close to death, Ben is forced on a deadly mission to step in to try and find his father ASAP, by re-tracing the missing girls last known steps. Ben recruits his best friend, Maddie to help him on his mission, as he is convinced he is too mild and meek to do it alone and is petrified with the fact that the only way to find his father and the missing girl is to go undercover and join the cult. In order to join the cult Ben and Maddie have to gain Marcuse’s (A cult member) trust. They make up good cover stories, hoping they will be accepted. Unaware and unprepared that life as they know it will become a fading memory and their chances of survival on this remote farm, where the chain of command is to worship an evil sociopath are inevitably stacked against them. 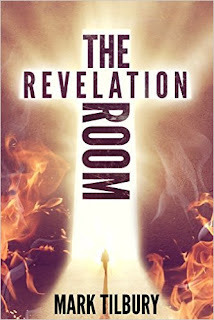 They are soon forced to take refuge in a gruesome chamber of horrors (The Revelation Room) which hosts some terrifying discoveries and sinister secrets that may help them or hinder them on their mission to escape as the body count increases and time is running out. Tilbury has taken a young insecure man and slowly transformed him into a brave hero that the reader can get behind and root for and I look forward to reading more of Ben’s adventures in the near future. Well done Mr Tilbury for giving us a hero both gritty and moving, and a clever psychological plot that works well to the dramatic end. Need some literary inspiration? Then look no further. This little book has it all! Need to be inspired? 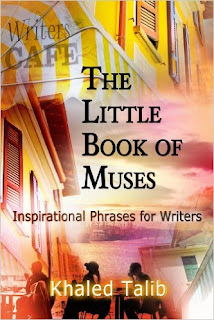 Are you looking for new sources of inspiration for your writing? Then you don’t need to look any further. This positive and powerful little book gives a great boost to any creative mindset and inspiration that will encourage any writer to put the pen back in their hand with plenty of renewed enthusiasm, passion and determination to finish whatever they are working on. Khaled Talib has created a unique collection of inspirational phrases, poetic verses and thought-provoking revelations that have a beautiful and graceful quality about every one of them. I highly recommend this enchanting book to any aspiring writer, or seasoned writer out there as a great resource to encourage the flow of creativity and self-motivation.